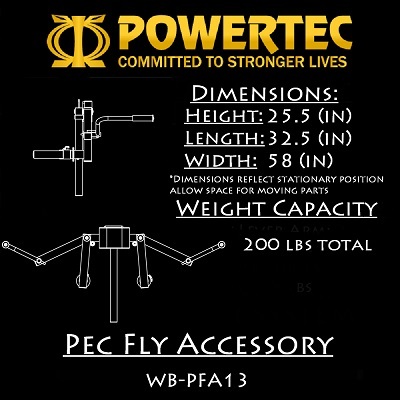 Perfect resistance from top to bottom the new Powertec Workbench Pec Fly Accessory WB-PFA16 is designed to duplicate the highly successful dumbbell fly. Dual moving lever arms not only accomplish this precisely but make the exercise actually much better by maintaining resistance throughout the entire movement. 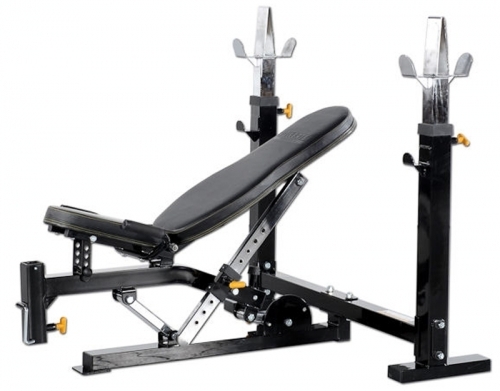 The machine lever arms keep tension on the muscle at all times for the ultimate pump. The Powertec Workbench Pec Fly Accessory WB-PFA16 is designed to provide an intense workout while eliminating strain, the Powertec Workbench Pec Fly Accessory WB-PFA16 is hard to beat. Easy and convenient step-in design makes getting started a breeze. The Powertec Workbench Pec Fly Accessory WB-PFA16 thick, comfortable DuraFirm™ pads reduce fatigue and discomfort allowing you keep working out. Rock solid support and stability is delivered via heavy-gauge steel frames with all-4-side welded construction. 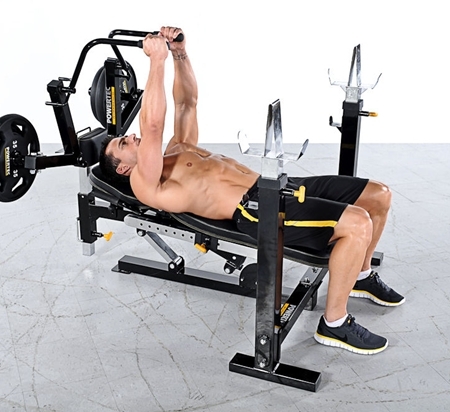 The Powertec Workbench Pec Fly Accessory WB-PFA16 is specially designed to focus on your delts and pectorals. The Powertec Workbench Pec Fly Accessory WB-PFA16 is one of the best ways to work your delts and pectorals in a safe and efficient manner. Call 1-800-875-9145 to chat with one of our fitness advisors with any questions you may have about the Powertec Workbench Pec Fly Accessory WB-PFA16. 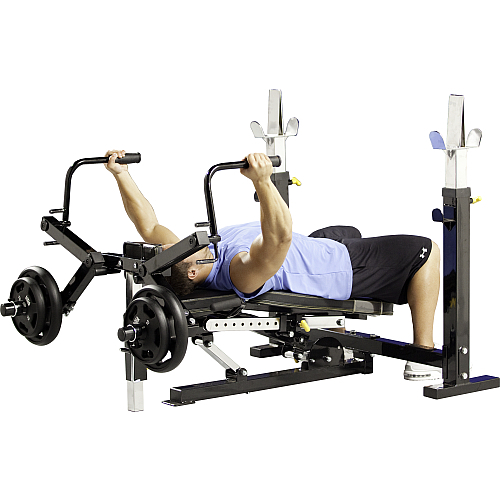 Order your Powertec Workbench Pec Fly Accessory WB-PFA16 from FitnessZone today! 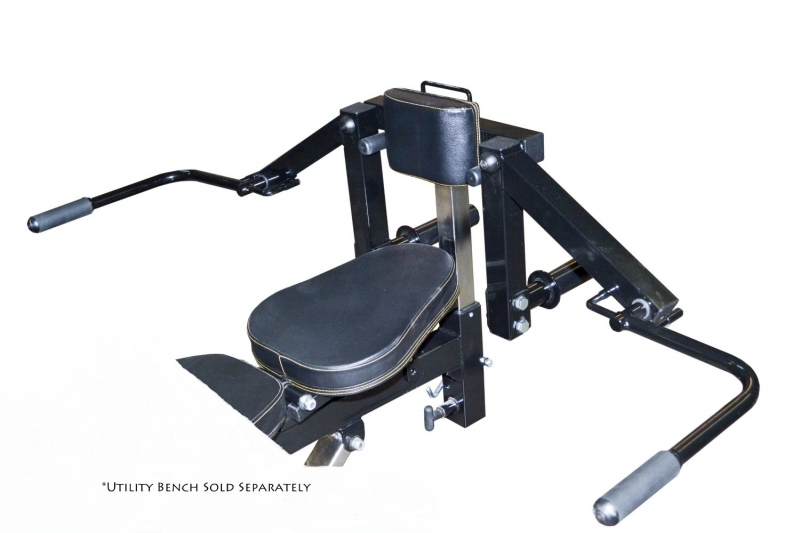 Order your Powertec Workbench Pec Fly Accessory WB-PFA16 from FitnessZone.com today!